My heart is so full of light and Love this beautiful morning. 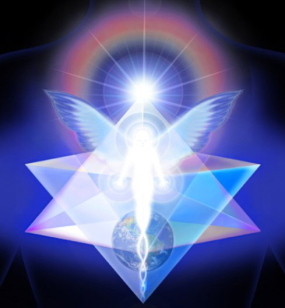 I was honored to assist a beloved soul sister that the angels tell me has been one of my angelic sisters for many lifetimes…we instantly felt the connection this life. She came to see me for a session and I was so touched and honored to assist her in healing her angel wings that had been clipped. She had been burned alive in a past life and is healing and releasing this deep trauma at this time..the angels assisted us in healing her and activating her Merkaba…so powerful I saw my client/friends body become very rigid and then relax I could tell she was FEELING everything deeply. After I felt an intuition to assist her with a past life reading and this lifetime was such confirmation with so many messages the angels had for her, it was so beautiful. It also brought me confirmation as I sensed so many ancestors in the room with us. I knew they were not native american but I felt they were ancient and ohh were they! So beautiful is this gift and ability to SEE into the soul of another and assist them with deep healing and release. She felt lighter and so at peace after our clearing and I know she is being prepared to RISE. She is being called back into service after a very long vacation She knew this as well. And here’s the part that I feel you will all be touched by. Today during our clearing I was clearing her heart space and I felt my Shiva girl sitting next to me on my right side. She said to me I am here with you mamma and now you cant kick me out of your sessions. I felt her humor about the whole thing. I could hear her tail whacking the ground and I chuckled and had to share this with my client/friend. She said Tawnya I just heard her tail whacking the ground! We both cried with joy at this confirmation…Shiva has not gone anywhere…she is here and Damn she is a powerful soul! I will be honoring her tonight during candlelit yoga meditation for any who feel led to join us. And I was encouraged by my ancestors to honor her with a sacred drumming circle to show reverence for her amazing powerful soul and her transition in to the light. I will share more info soon on the details for any who would like to join in this ceremony. Thank you to my sweet client for your honor you know who you are…I salute you sweet earth angel Rise Love Rise and Shine!! !